Mempho Festival in Memphis, Tennessee is returning for a second year and curators are welcoming campers with open arms. 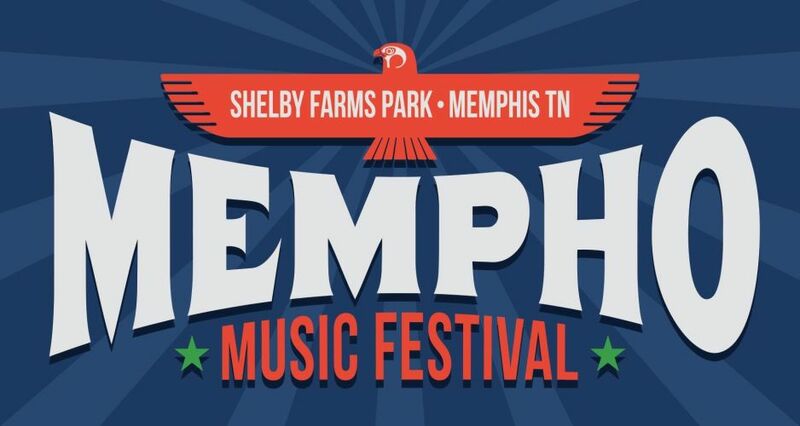 The annual festival is taking place on October 6 & 7 at Shelby Farms Park and curators are expanding the experience to insure attendees enjoy a magical weekend in Memphis. The Mempho Festival Lineup features a variety of genres from hip-hop to alternative rock, which is more than fitting for the atmosphere in Memphis, Tennessee. 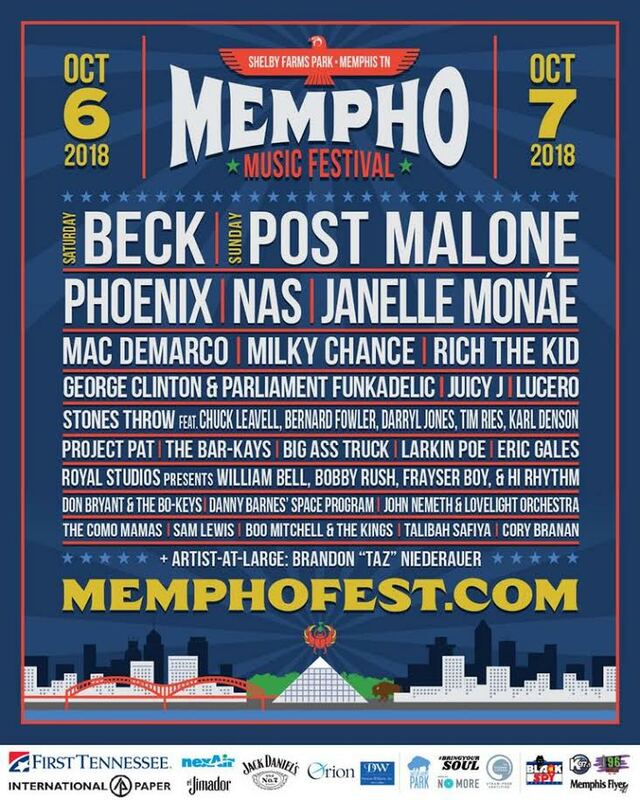 Curators of Mempho Festival have booked Beck and Post Malone as headliners for the event, as well as Janelle Monae, Phoenix, Juicy J, Milky Chance, and NAS. The festival has made sure to highlight the interests of the attendees in the area by managing to bring together a healthy mix of artists. Between the experimental, alternative rock energy from Beck and boundary-breaking vibes from Post Malone, the lineup is a personification of the Memphis community. To ensure attendees have the full opportunity to immerse themselves in the festival experience, Mempho Festival is welcoming campers onsite for the first year ever. By expanding to include onsite camping, attendees are encouraged to relax and enjoy the beautiful Memphis scenery. Attendees are allowed to bring a bike to make their way around the festival as there will be bike racks throughout the festival. To aid with this expansion, the festival will offer an onsite vendors and a General Store for attendees with any last minute supplies or anything they may have forgotten. Mempho Festival Tickets are currently $179 for GA without camping or $279 for GA with camping. If you're traveling to Memphis and wish to party like a rockstar for the weekend, the festival has several VIP Packages available. VIP Packages start at $449 and go all the way up to $1,299. 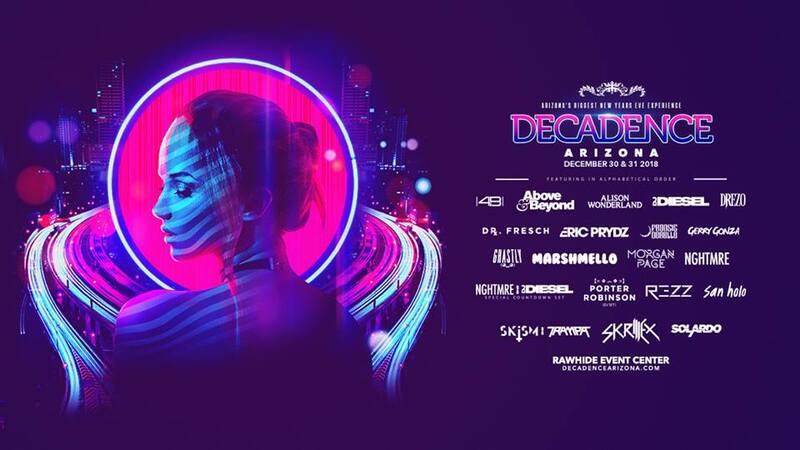 The basic 2-Day VIP Package for $449 includes access to designated viewing areas, access to the VIP lounges with discounted drinks, and access to private, air conditioned restrooms. The Super VIP 2-Day Package includes two catered meals per day, exclusive artist meet and greets, and private performances by artists on the lineup. You don't want to miss your opportunity to enjoy a magical weekend in Memphis, so grab your tickets to Mempho Festival now!